Ripe coffee cherries may be red, but their farming and processing is about to become green with a new project announced by the Agriculture and Livestock Ministry (MAG) on Tuesday. 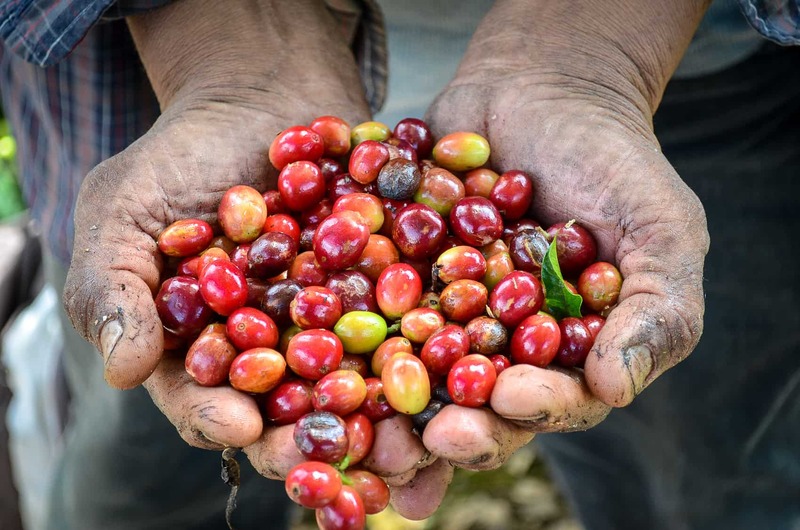 With $1.27 million in funding from the Inter-American Development Bank, the pilot program will tackle Costa Rican coffee’s excess carbon production, moving towards the country’s goal of becoming the first carbon-neutral country by 2021. Along with being a large producer of greenhouse gasses, the coffee sector is also extremely susceptible to production losses from climate change. Temperature increases have a devastating affect on the quality of coffee. According to information from the Coffee Institute of Costa Rica (ICAFE), coffee farmers have been planting at elevations between 1,200 and 1,600 meters for the past 25 years, but temperature increases have rendered most high-quality coffee plantations lower than 1,300 meters unusable. MAG estimates that temperature increases have already led to a 2 percent decrease in coffee production over the last several years. “As part of an industry based on agricultural productivity, farmers have a vested interest in slowing climate change,” said Agriculture and Livestock Minister Gloria Abraham at a press conference announcing the project. Currently coffee production generates an estimated 9 percent of Costa Rica’s total carbon discharges, with as much as 50 percent of coffee’s emissions coming from the use of nitrogen-based fertilizers. The newly created Nationally Appropriate Mitigation Action (NAMA) National Coffee Board will spearhead the project, focusing on reducing greenhouse gas emissions at each stage of coffee production by using efficient fertilizer application, wastewater treatment and the use of renewable energy sources. To combat the existing effects of climate change, NAMA farms will begin reforesting unused areas. Trees will serve the dual purposes of counteracting carbon emissions and providing shade to decrease the temperatures for quality coffee growth. Not only will NAMA reduce carbon emissions, but it also will reduce waste and help make coffee farms more cost effective. NAMA strategies already have been proven effective in Costa Rica. In 2011, Coopedota, a coffee cooperative in the Los Santos region southeast of San José, became the first carbon-neutral coffee producer in the world. Coopedota incorporated many of the carbon-neutralizing practices now being developed in NAMA projects. In addition to being carbon-neutral, Coopedota’s emissions reduction has other environmental and economic benefits. The cooperative eliminates virtually all of its waste by burning it for energy, and reuses its wastewater to create ethanol fuel, which they sell. In 2011 Coopedota told The Tico Times that the modifications were saving them $200,500 annually. MAG is in the process of selecting farms for the pilot program, which will last two years before the ministry explores expanding it to the entire country. Similar plans also are being developed for sugarcane and cattle farming.